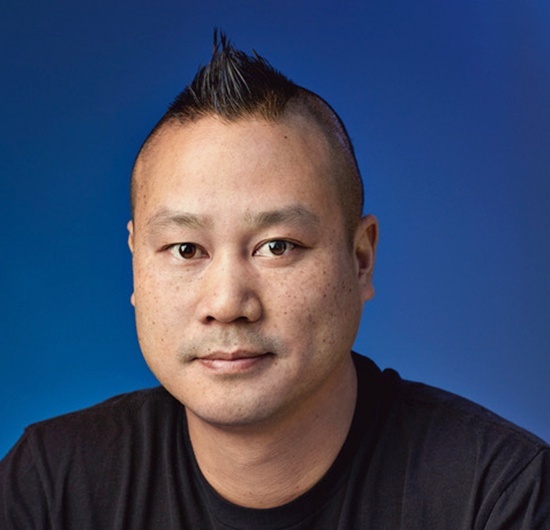 In 1999, Tony Hsieh joined Zappos as an advisor and investor, and eventually became CEO, where in just ten years he helped Zappos.com grow from nearly zero sales to a company with a $1.2 billion valuation. In 2010, Tony recounted his journey coming into his role as CEO of Zappos.com and its subsequent success in his book, Delivering Happiness. In the book, Tony showed readers how company culture and employee happiness are sustainable means to having a business of profits, passion, and purpose. After the book launch, Jenn and Tony had an overwhelming number of people ask how they could bring the happiness model into their workplaces - thus, Delivering Happiness the coachsultancy was born. In addition to his responsibilities as CEO of Zappos.com and our co-founder, Tony’s purpose is extending into the Las Vegas community. He helped to start Downtown Project, a group committed to helping to transform downtown Las Vegas [DTLV] into the most community-focused large city in the world. This transformation includes $350 million towards revitalization in real estate, small businesses, technology, culture, education, and healthcare.